Hey family, can you help me identify these photos? My mother was a gifted child, an educated woman and a devoted wife and mother. 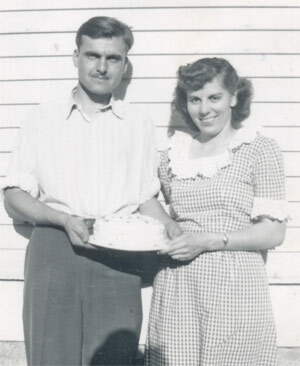 She earned a master's degree in Physics from the University of Saskatchewan in 1947. She is remembered as devoted to her children, giving her life to assisting Jim over his physical handicaps. 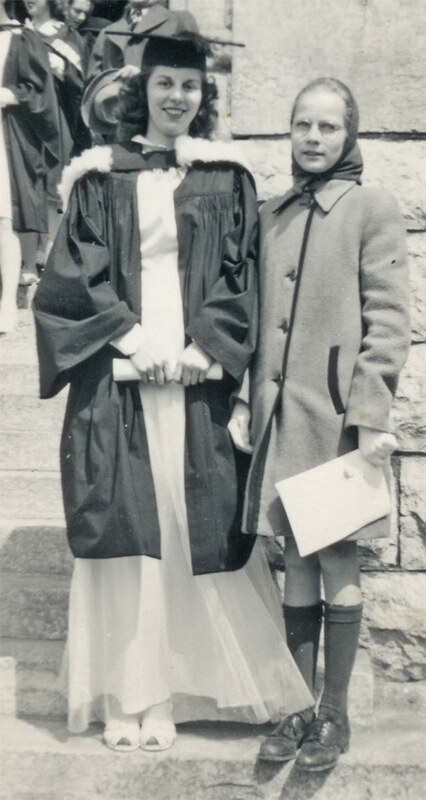 She worked at Marlatt School and at KSU registration for a number of years. 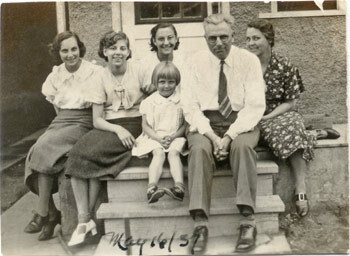 Mom (second from left), sisters and parents on the back steps of 705 Victoria Ave. In 1937. 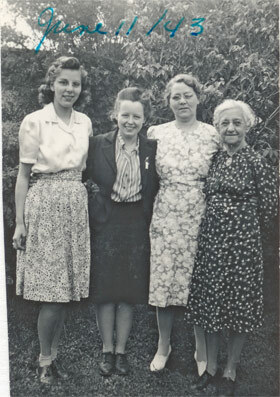 Louise (in back), Mom (left), Helen. 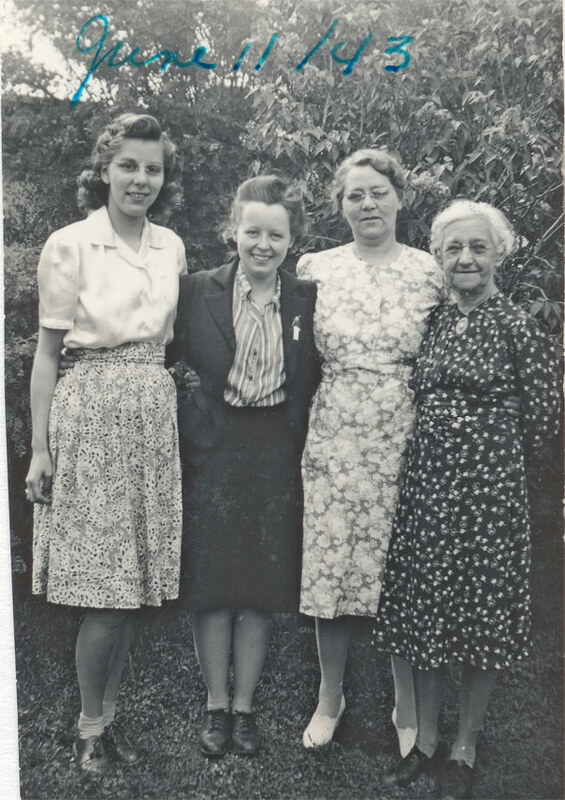 Mom, Jean Turner (Anna Pohlmann's daughter), Ida Morgenroth (my grandmother) and her mother (my great grandma Pohlmann). 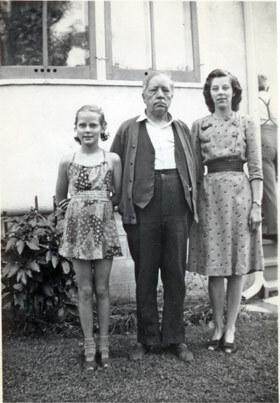 Marian, Grampa Pohlmann, Mom. Apparently, a characteristic expression for Mr. Pohlmann. 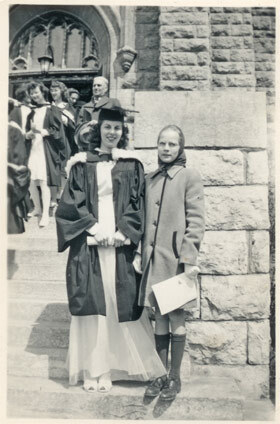 Mom and Marian, Mom's university graduation, May 1946. 1st year anniversary of marriage to Dad. 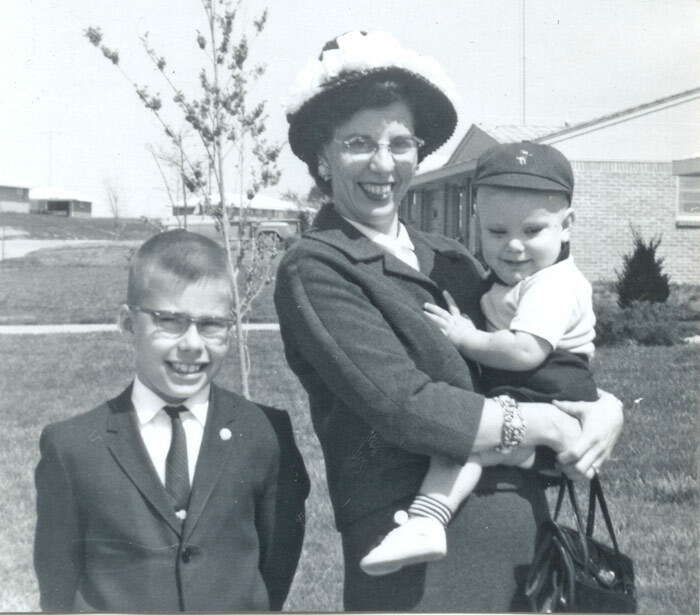 Me, Mom and Jim, 1963. I was 9, Jim 1 1/2. 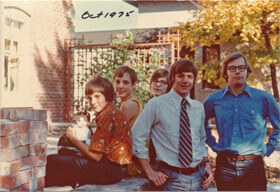 Only indirectly about Mom, but what a photo, just screams "70's" doesn't it? From left: Paul, David, Jim, Ted, me. 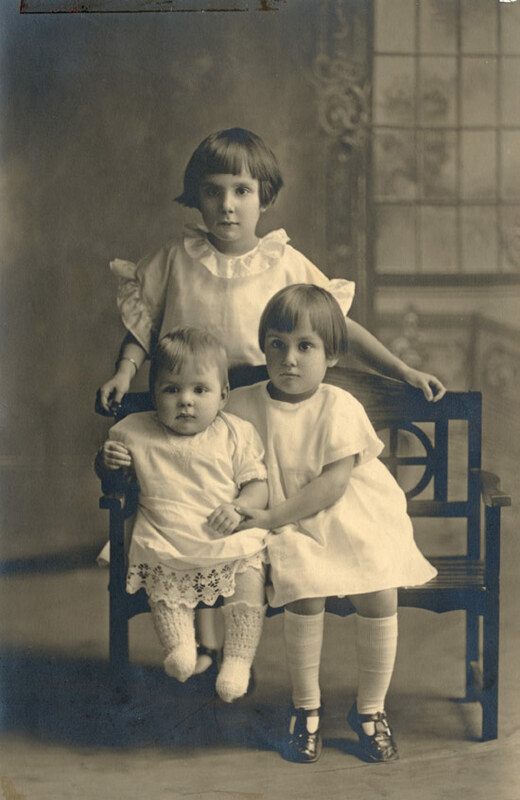 Paul, David and Ted are Marian's children. 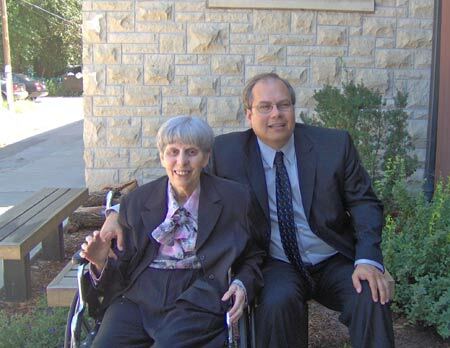 At Dad's funeral, Aug. 26, 2005.